Increased Security: Access your account communications within a password-protected environment, reducing the risk of identity theft by eliminating paper delivery of sensitive financial information. Centralized Record Keeping: Eliminate paper clutter at home and quickly search for the account communications you are looking for online. Contact your financial organization for more information. 1 Account statements are available for 10 years, trade confirmations for six years and tax documents for seven years. 2 Requires access to the Internet and the ability to view PDFs. 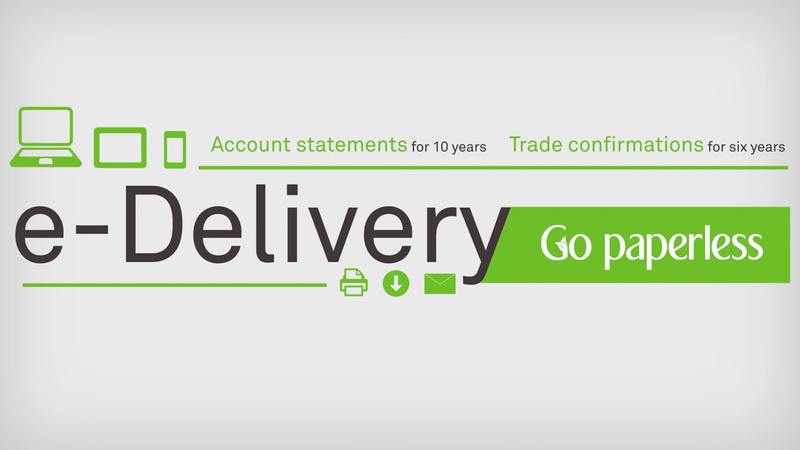 e-Delivery is a simple, safe and convenient way for investors to receive their financial account communications. Click here to view a brief video and learn more about the benefits for your clients!